Home Art Tile offers a variety of products that suits our consumer needs. We have unique toilets that come with varying designs and sizes. The toilets come in two brands; Fresca and Kohler. Under the Fresca Brand, we have four different types of toilet products, which are Dorado, Delphinus, Apus, and Antila. 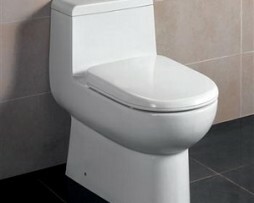 These toilets come in a classy and elegant design that ensures you of comfort. Despite having different looks, they have almost similar features. 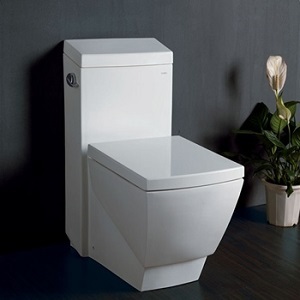 Dorado (FTL2222) is an elongated one-piece toilet. We have installed Dorado with a dual flushing system that comes in either 0.8 gallons per flush (gpf) or 1.6 gpf. It helps in conserving water. We have made it with a stain resistant polish and a glazed trap way. Just like the Dorado, Delphinus (FTL2309) is elongated and has a dual flushing system with similar options. It comes with a soft close toilet seat and has a trap distance of about 12 inches. We manufacture Dorado, Apus and Antila at size 27” while Delphinus comes at size 29”. Apus (FTL2336) comes in a rectangle shape that makes it look elegant. It is easy to keep clean because it is made with a stain resistant polish. It utilizes a single flushing system of 1.6 gpf that helps in low consumption of water. We have also ensured that it has a fully glazed trap way. The Antila (FTL2351) has an elongated bowl that has a trap distance of 12 inches. It is UPC approved and has a dual flashing system of either 0.8 or 1.6 gpf. The Fresca brands are white color. We have designed Antila to provide you with comfort, sophistication and the urbane look. We have four different toilets under our Kohler brand. 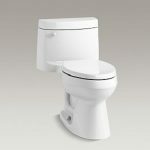 Cimarron is a one-piece toilet that is integrated with the bowl and tank. We have made it in a design that is easy to clean. Cimarron consumes about 1.28 gallons per flush. We have fitted it with a polished chrome trip lever and a grip tight toilet seat. It utilizes the single flush system, which has an aqua piston canister that flushes the toilet in an effective manner. It is white in color. Our Numi toilet has an elongated bowl. The compact one-piece toilet has an incorporated bidet. It has a dual flush system of either 0.6 or 1.28 gallons per flush. In order to enhance comfort, we have installed them with built-in speakers that can play your own music, FM radio or the Numi song. Numi has a foot warmer and heated seat that is perfect for those cold days and nights. Karing is extremely stylish and classy toilet that has a tank less design. We realize the importance of comfort. To this end, we have ensured that Karing can be controlled using a touch screen remote that enables you to pick your preference on the heated seat, custom settings, and the air dryer. It comes in a powerful flush of 1.28 gallons per flush, which helps in saving water. It has a height of 17-5/16”, a length of 26” and a width of 16-11/16”. Our San Souci toilet product comes in a chair like design, which is both convenient and comfortable. It is white in color. In order to save on water consumption, we have fitted San Souci with the powerful Aqua Piston technology. This technology saves about 16,500 gallons of water yearly while still performing efficiently. San Souci has a height of 25-5/16”, a length of 27-3/4” and a width of 16-3/8”.